Once a year, at the end of the summer, I spend time in Vermont. I drop my older son at Kinhaven Music School - incidentally, the same magical place I spent summers as a teenager - and spend a few days driving around the Green Mountains with my windows open, my favorite music blasting, and my taste buds primed for real Vermont cheddar, early-season apples and anything maple. I always pick up a few cookbooks on my Vermont trips. I'm partial to hyper-local recipe collections, those little soft-cover pamphlets you find when you're traveling that you know you can't get anywhere else. On my last trip I bought the second and third editions of The Official Vermont Maple Cookbook, published by the Vermont Maple Foundation, the nonprofit that works to protect Vermont's maple industry. The two booklets have dozens of recipes using maple syrup and maple sugar, but I was in a muffin mood. 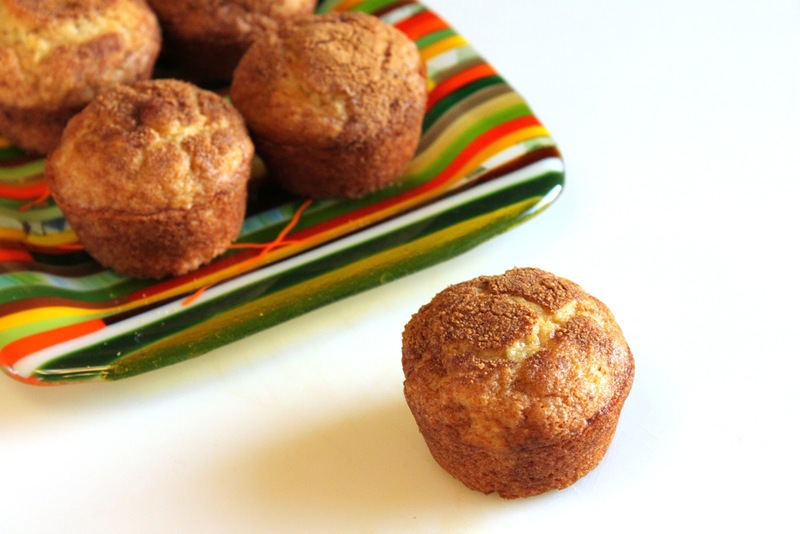 These maple syrup muffins are delicate and not too sweet. I added grated Bartlett pear to the recipe and sprinkled the tops with cinnamon mixed with maple sugar (but regular granulated sugar is fine too). Split them in half, toast them up and top them with a slice of Vermont cheddar for a perfect, Vermont-inflected breakfast. 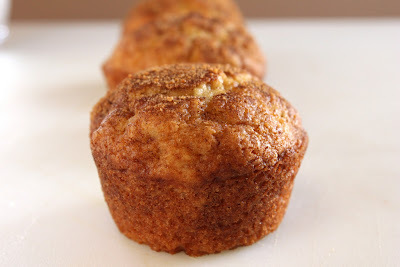 Neither too sweet nor too rich, these delicious maple syrup muffins go perfectly with a thick slice of Vermont cheddar. Adapted from The Official Vermont Maple Cookbook, Second Edition. Preheat the oven to 375 degrees. Spray a 12-cup muffin tin with cooking spray.In a large bowl, whisk together the egg, oil, maple syrup, milk and 1/4 cup of the sugar.Cut the pear into quarters, then peel the pieces and remove the core. Grate the pear into the egg mixture and mix to combine.In another bowl, whisk together the flour, baking powder, baking soda and salt. Add to the egg mixture and combine gently with a large spoon or spatula. Do not overmix. Divide the batter among the 12 muffin cups.In a small bowl, stir together the remaining 2 tsp sugar and the cinnamon. Sprinkle over the muffins.Bake the muffins about 25 minutes or until light brown. Remove the muffins from the pan and cool on a rack. Serve warm with butter or Vermont cheddar. Erika, these look fantastic! How I miss Vermont's maple syrup. I am sure the syrup and pear make a divine combination. Thanks for sharing. It is so hard to pass up a muffin with pears, one of the few fruits I love cooked. Adding the sliced cheddar would make me eat them for breakfast, lunch and dinner! They look and sound delicious! just when i was wondering what to do with these pears i bought...many thanks. These look delicious! I have some Shelburne Farms sharp cheddar at home right now (I'm very lucky that my family in VT will send cheese to me in Chicago!) and I am exited to try a slice on top of a maple muffin! Thanks for the inspiration! 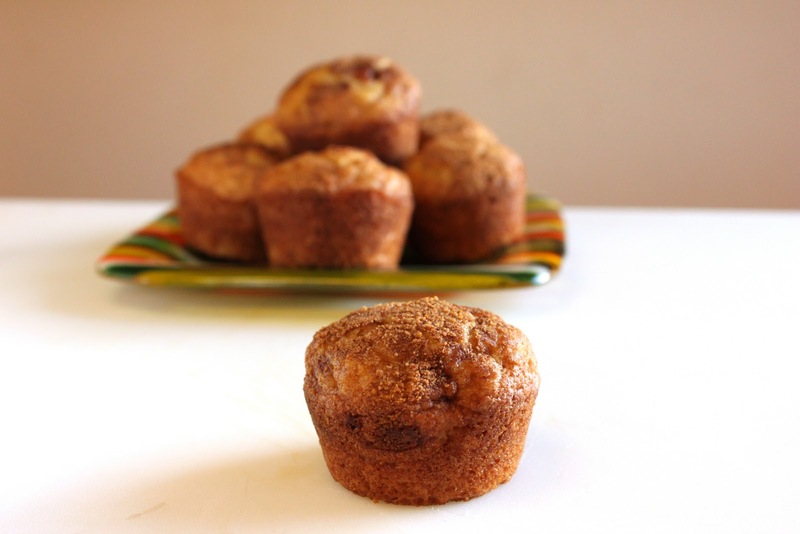 Maple + pears + muffins = wow! What a great combo. I love all things maple, too. For some reason the maple flavor reminds me of my childhood, eating pancakes on chilly winter mornings. Good memories. Mary, thank you for visiting - I'm so glad you did and look forward to getting to know you!